The traditional slot reel structure no more exists in WMS gaming’s new Zeus III (Sci Games) video slot. 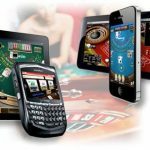 The company has launched with an innovative slot reel design and breathtaking theme that will force you to say “awesome”. 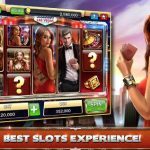 The setting of reels is quite different in comparison to other mobile slots and that’s what looks quite exciting about this video slot. The new instalment of Zeus video slot offers you an extraordinary 6-reel and 192-fixed pay-line platform, where you can stake from 40p to £80. 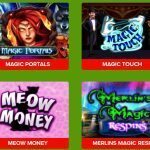 Bonus features like free spins, expanding wilds and stacked wilds help players in earning huge money. 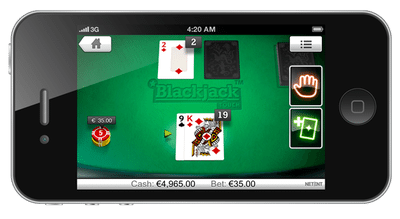 You can hit a £250,000 win if you play wisely and use all the features of this video slot. In this latest version of Zeus slot people were expecting some changes in the design of the reels. Developers have not disappointed the players at all and they have replaced old reels structure with an innovative, but slightly weird reel structure. The first reel features only two rows, the second reel feature three rows and thus the number of rows increase till the sixth reel. All the reels are set in thundering clouds. A luminous temple is visible in the upper-left corner of the screen. Zeus III (Sci Games) seems perfect according to graphics and setting of the reel. The remaining work of beautifying the screen is done by symbols which are things related to Lord Zeus like a coin, a ship, a vase, helmet and the Lord Zeus. 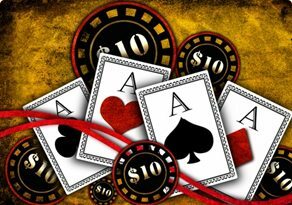 The low value symbols in this game are represented by playing card icons like hearts, spades, clubs and diamonds. The temple symbol is the wild symbol and the lightning bolt is the scatter symbol. Actually, there are two different wild symbols in Zeus III (Sci Games) video slot, first is the temple and another is the Zeus himself. You can turn Zeus symbol into the wild by landing stacked Zeus symbols in the base game. The stacked Zeus symbol expands and it covers all the positions on the same reel. There are bulky free spins rewarded in Zeus III (Sci Games) video slot. It starts with 10 free spins when you land 3 scatters and ends with 50 free spins when you land 5 scatter symbols. 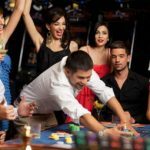 Lucky players, who gain 50 free spins, they also gain 50x multipliers to win a very big prize. 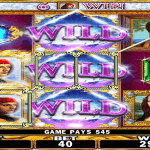 That’s how Zeus III (Sci Games) video slot becomes an interesting and exciting video slot game. You should play Zeus III video slot not only for its impressive reel structure and expansive winning prize, but also for enjoying your free time in a refreshing way.